Find any item you need, all pages and news posts on the KCY at LAW website are listed below. Damages For Pain and Suffering – What Are They Worth? 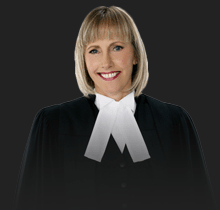 Did Your Accident Occur Out-Of-Province? What You Need To Know! Distracted Driving: The New DUI? Duty to Mitigate: Helping The Employer Who Fired You? Guide To Bonus Packages: Discretionary Bonus or Not? I Was In a Car Accident – Do I Need a Lawyer? Injured In An Accident But Back To Work? Injured In An Accident? You May Have A Brain Injury! Terminated Within The Probationary Period? Termination Clauses: Could a Promotion Decrease your Severance Package? Unlawful vs. Wrongful Dismissal: What’s the Difference? Video Surveillance in the Workplace – Big Brother Boss? Welcome to 2015 – How will the Ontario workplace change this year?